When it comes to Heavy Duty King Bed Frames for us big Guys and Gals there are only a couple of really excellent beds foundations I can recommend. Depending on your individual or if you’re a couple, your combined weight there’s not a huge selection for the combined 600 pound plus weight capacity couples(Not including the mattress weight). However I may have a solution for the plus size people in dire need of a better bed. There are 3 aspects you could consider when you want to buy a heavy duty King sized bed frame. These are not optional in my opinion and one’s you should seriously consider before wasting your hard earned money on a cheap and inferior bed frame. The common bed frames you’re probably use to buying sometimes wont support our high weight capacities and it’s time for a change. After breaking a few beds myself (one was my Son’s to be precise) it was pretty obvious that I was the problem. My problem was I didn’t research the beds support frame weight capacity… I know, I should have known better. 2 Is This The Strongest King Sized Bed Frame? 4 Do You Know How Important A Good Night’s Sleep Is? So here are 3 things you Should consider when buying a King sized heavy duty bed frame for large people. Keep on reading below to see what I think is the ultimate bed system for heavy people. Strength and Support. 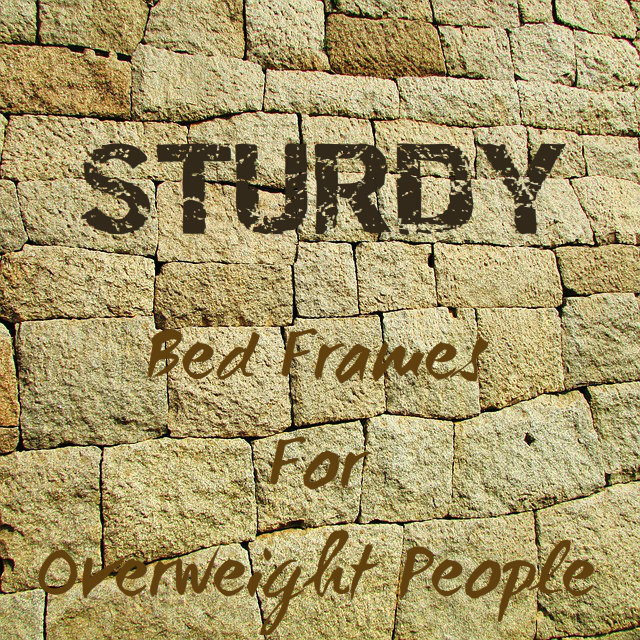 The foundation of the bed frame should be able to handle heavy duty use, which includes large peoples combined weights. 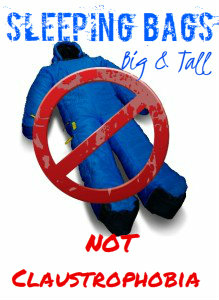 Please don’t forget to allow for the weight of your mattress in the total weight capacity. The support bars and overall frame design are critical to longevity of the bed when used by heavier folks. Comfort For A Good Nights Sleep. This leads on from the strength and support aspect. Inferior beds are extremely uncomfortable for sleeping on when you’re somewhat overweight and well over the recommended weight capacity. Often the bed itself isn’t all that bad to a ‘normal’ size person, but add a 100 – 200 pounds extra body weight and you start to notice much much more. So you should have a solid and extra strong bed frame that will also create a comfortable foundation for the mattress to settle on. Visual Appeal. The most common king size bed frame for large people is the 45MinST (See below) or metal bed frames. While it does have a super high claimed weight capacity of 2400 lbs, it’s not the most visually appealing bed in the world. However I think this is easily fixed, which you will now see. Is This The Strongest King Sized Bed Frame? A truly innovative creation by 45MinST, this bed frame is perhaps the strongest on the market. It’s a good foundation bed for big people and small people alike. I’ve noticed them grow in popularity greatly lately and for very good reason. With a massive weight capacity of 3500 Lbs they are catering a solid and true foundation for just about everybody. The 8 foundation points (legs) are what make this bed frame the strongest in my opinion due to the extra thick 2.4″ bars. Not to mention the numerous amounts of support bars. The interesting point here is that with so many joints and support bars you would expect a lot of friction which leads to that annoying squeaking sound whenever you roll over in bed. But surprisingly this bed frame doesn’t make a hint of noise that I could notice. But make sure to tighten all parts before using. By the way, assembly is meant to be rather easy. No tools are even needed to assemble, unless they are missing from the kit and can takes minutes to set up. Seriously easy I say and the fact a head board can be added makes it a dream come true. The dimensions of this heavy duty king frame are meant to fit the appropriate mattress, in this case a King sized. In essence you may be able to fit this frame inside an existing bed frame you may already own provided you check the measurements. Attachments for a headboard are also available if you decide to go the simple box-spring route. Whichever way you decide to go, you will get yourself good value for money from the research I’ve done. The icing on the cake is under bed storage. The 45MinST has a very handy 14 inch height for storing anything your heart desires (within reason). This is actually one of the features my Wife really loves about the set up. I’m not one to complain either as clutter and lack of storage is a common nuisance these days. Also a great place for hiding Christmas/Birthday presents. Before you start thinking wooden slats, they won’t hold my weight etc… I must first say that this bed has a decent weight capacity of 1200 lbs. However, wait for what my suggestion is. So if you and your loved ones (yes include the kids jumping on the bed and mattress weight) have a combined weight of more then 1200 pounds this is what you should do. Remove the wood slats or don’t put them in to begin with. What you need to do next is make sure you get yourself a King Size SmartBase box-spring which you can see below. The SmartBase itself has a huge weight limit of 2400 lbs which is well and truly enough for many obese couples. Once your new SmartBase arrives in the mail or on your door step. Set it up in less then 5 minutes or so, may take longer depending on skill level. Slide it into the position where you wish to sleep. Then built your Deluxe Faux King Size Bed Frame around the Smart Base. Voila!. Now you have a strong, high weight capacity, comfortable and beautiful heavy duty bed frame ready to make the neighbors green with envy. Well that’s what I think anyway. So why possibly choose the Deluxe Faux Leather bed by Zinus?. Well as stated it has a high weigh rating of 1200 pounds according to documentation and is very well made. To me, it looks really sturdy and safe for plus size people. But what makes this bed so amazing in my opinion is it’s overall bang for buck. While it’s Faux Leather, it’s very well padded and has the appeal of a bed I would consider to be double if not triple the price of this bed frame. Besides it’s stunning visual appeal, it’s also very practical. This bed is simple to put together for you novice handyman, in fact all the parts needed are in a zipped pouch behind the bed rest. Without adding a box-spring, I believe this is a sturdy and rather squeak free King size Bed Frame. Do You Know How Important A Good Night’s Sleep Is? I was not aware how much getting a good night’s sleep affects my weight gain. This video is rather in depth and helpful. Makes me really understand the importance of a solid bed foundation.To complete the perfect big mans bed, I highly recommend you consider a solid innerspring mattress which can support heavy weight. I typically don’t sleep more than 7 hours a night, I wonder if this influences my Obesity. What are you sleeping habits like?. 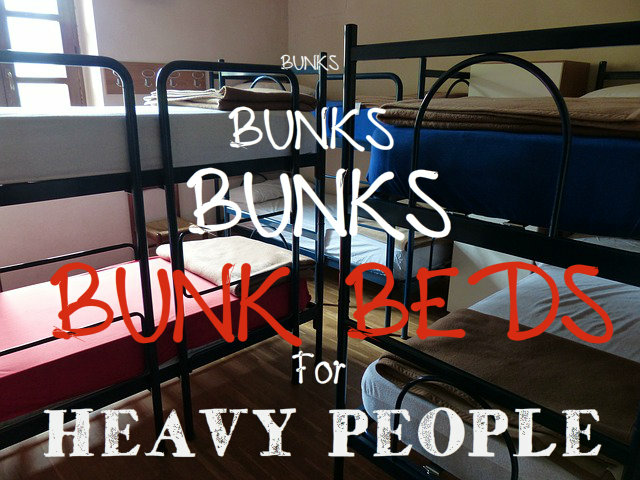 Heavy Duty Bunk Beds For Heavy People – Are They Really Safe?